At Dolby, we wanted to find out what the right amount of light was for a display like a television. So we built a super-expensive, super-powerful, liquid-cooled TV that could display incredibly bright images. We brought people in to see our super TV and asked them how bright they liked it. You may be thinking, “Wow, I don’t want to look at a TV that bright. 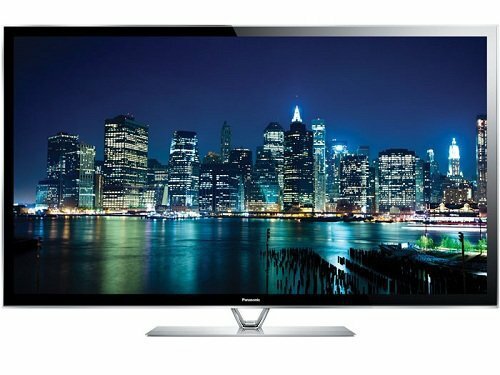 Looking at a 100-watt bulb would hurt my eyes!” And you’d be right if the TV was displaying a full-screen, pure-white image. That would be uncomfortable. But real TV images, like scenes in the real world, include a mixture of dark and light. Only small parts of real-world scenes are very bright, and we have no problem looking at them. In fact, one of the secrets to producing TV images that look like real life is having that mix of true brights and darks. If your guess is more than 100 nits, you’re wrong. It’s true—most viewers want TV images that are 200 times brighter than today’s industry standard. Does that difference really matter? You bet it does. Today’s TVs simply can’t match the depth and detail of a display that can produce far brighter images. And conventional TVs can’t recreate all the colors found in the world around us. It’s a classic case of “you don’t know what you’re missing until you see it.” When you experience a display with much higher brightness, you never want to go back to a conventional display. This is just a JPG being viewed on a computer screen, but it gives a rough sense of the potential difference in contrast and color fidelity that is possible with higher dynamic range displays. Those who know me well know I'm really fussy about my A/V setup. I was dismayed to learn that Panasonic is exiting the plasma TV business. Pioneer stopped making plasma TVs a few years ago, though not before I could snag one of their Kuro plasma displays. They produced the most gorgeous picture out there, with the deepest black levels, and now, more than 6 years level, my set still produces a better picture than the latest LCD sets on the market. LCD is all the rage for how thin the displays are, but once you have the TV hung or set up the width and weight of the TV contribute little to your viewing pleasure. The most salient advantage of LCD TVs over plasmas is their ability to cope with ambient light better, but if you're a video enthusiast you'll try to control light in any viewing room anyhow. In all other respects when it comes to picture quality, I prefer plasmas. The average consumer cares less about such things, and thus LCDs outsell plasmas by a healthy margin. If you are the type of person who cares about getting a TV with the best picture quality, Panasonic's impending exit means it might be your last chance to grab the best mid-sized plasma out there, the best of the TVs that won't cost you the price of an entry-level sedan: the Panasonic VIERA TC-P60ZT60. I had heard good things from a few A/V enthusiasts I trust, so I checked one out at a local electronics store this week while waiting to meet up with someone. It lives up to the hype. The black levels were visibly deeper than those of the LCDs around it (though you do have to tweak the settings as electronics stores notoriously jack up brightness and contrast levels for TVs on the showroom floor, and those aren't the optimal settings for everyday viewing). Contrast ratio matters a lot for actual and perceived picture quality. I'm not a fan of current 3D technology in home TVs so I can't speak to that aspect of the TV, but for normal everyday 2D viewing the Panasonic is at the head of the class. So if you're looking for a TV this holiday season, snag one of these before they're gone forever. Word on the street has it they're being discontinued in December. If you want an even bigger set, Panasonic makes a 65" version as well.